Every business owner understands that it is important to have a business website. WordPress makes it possible to create and run a website/blog with their vast list of customizable themes. The hair and beauty industry continues to thrive despite economic downturns. The reason is that hair falls under one of the manageable beauty aspects everyone prioritizes and almost ritualistically grooms. The beauty salons industry continues to remain a strong one and a highly competitive one. Entrepreneurs find it easy to get setup in the business and the business growth is also always on the growth. Business owners have made the shift online to drum up their marketing and advertising efforts. Running a website is the easiest and cost-effective way to market your business. For the salon owner looking for a highly responsive and appropriate theme, we have you covered with our list of the top rated free hair salon WordPress themes. It is important to note that we compiled these WordPress themes from the free template options available through wordpress.com. You can find more customizable options available online as download templates for wordpress.org sites. A salon website should be simple yet elegant and structured to showcase the work/services the business offers. The Sidespied WordPress theme mirrors all that with a focus on photos/videos. The theme makes use of the WordPress portfolio feature allowing you to display and layout your projects in various ways. 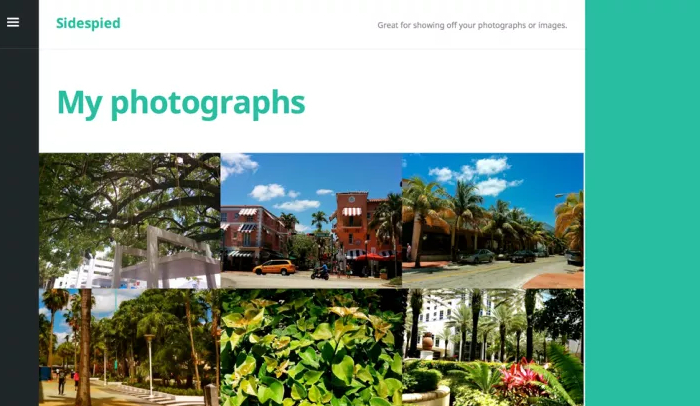 The WordPress template also supports featured images, portfolio shortcodes, and social links. The multi-purpose responsive and functional theme works as an excellent solution for introducing your business to the world. It may appear very corporate, but with a few customizations, including four customizable page templates, you can adopt it for your salon business. The theme comes with three featured page areas (optional), which would work to showcase your work or services. A salon business website should strive to showcase the portfolio of work produced. 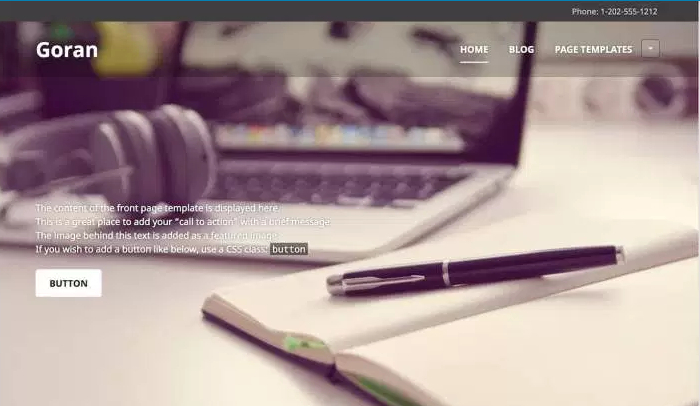 The Sketch WordPress theme works well as a responsive portfolio template in this case. The Sketch theme features a light and clean design giving prominence to what you choose to showcase. A featured content slider and featured images, and portfolio shortcodes come with the template for easy customization. The McKinley WordPress theme is designed to create an impact with full width/ page images as well as video post formats. 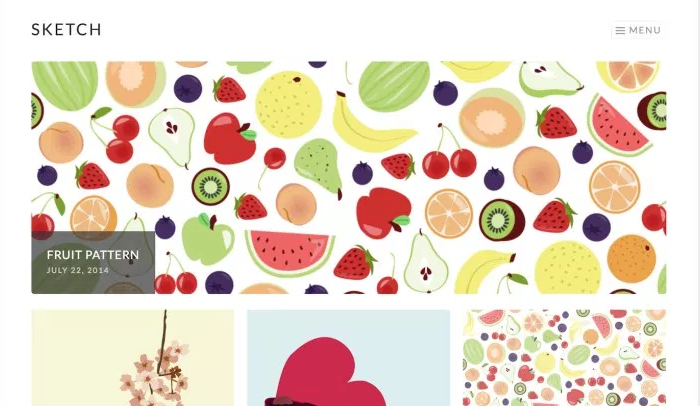 The WordPress theme also features slideshows which are ideal for showcasing your work samples. 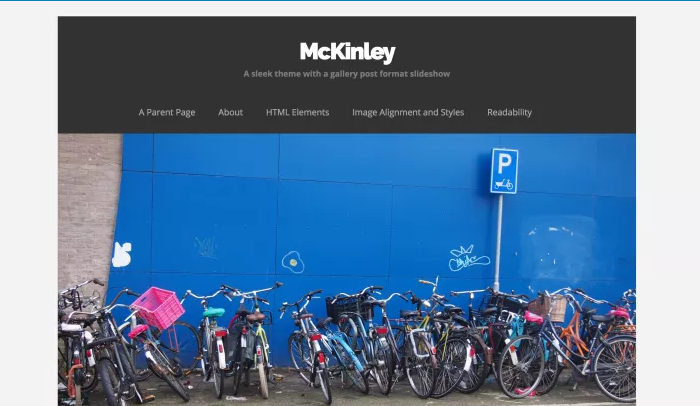 Some of the other highly useful things that come with the McKinley WordPress template include featured posts, post formats, adaptive widgets, and custom menus, background, palettes, and header. The Orvis theme is yet another theme created for photographers and designers, but it can be adapted to work for a salon business. The minimalist theme provides flexibility when it comes to customization. The WordPress template also works to allow your projects to shine through. The responsive features included with Orvis include the WordPress portfolio feature, featured images, portfolio page template, portfolio shortcodes, and social menu footer. 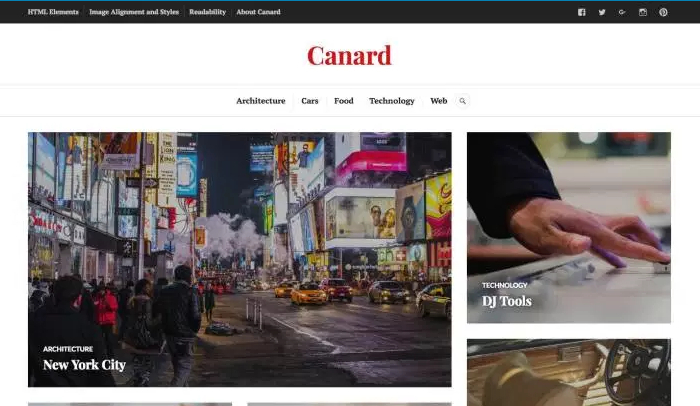 The Canard theme is a magazine and blog template that is customizable to work for a hair salon business. Canard is an ideal website template choice if you want to take things a notch higher and share articles about your business or the hair industry in general. Content marketing has quickly become an integral part of online marketing, and this is the best theme if you want to go this route. To showcase your work, Canard balances readability and photo displays well. Canard also comes with feature content and images, post formats, menus, social menu, and widget area. Just like with any other business, to win over new clients for your hair salon you will have to showcase what you can do with hair. 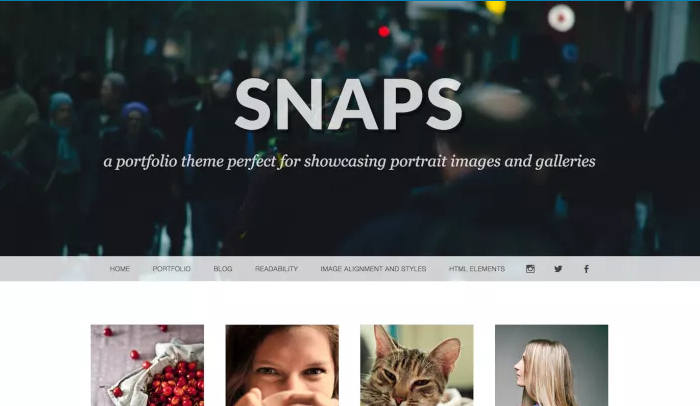 The Snaps WordPress theme allows you to showcase portrait photographs and illustrations of your work. 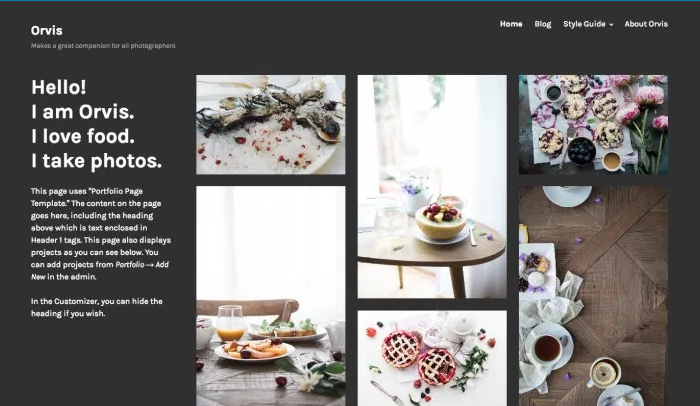 The theme also comes with the WordPress portfolios feature, featured images, custom header image option, menus, and widgets. Designed for the food and restaurant industry, this is yet another customizable WordPress theme that a hair salon business can adopt. 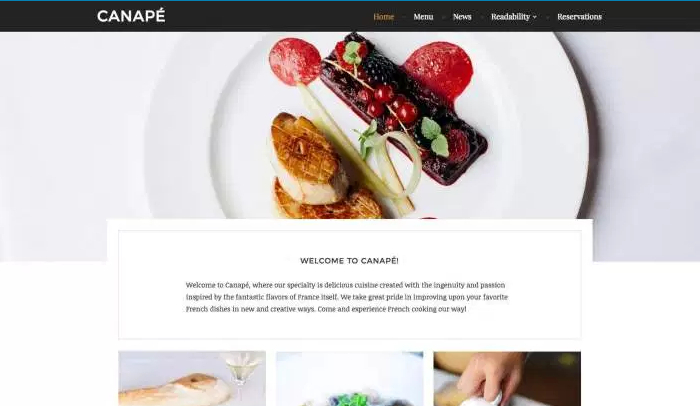 Canape allows you to showcase your menu of services with a reservation widgets. The ability to display the services that your company offers is by far the best feature of this theme. Featured contents, widget areas, and testimonials feature also come with the WordPress theme. Simplicity always wins the race, and you might just want something simple to showcase your work and articles. Gazette is a magazine-style WordPress theme that will work well for you if you intend to run hair news pieces in addition to marketing your salon business. 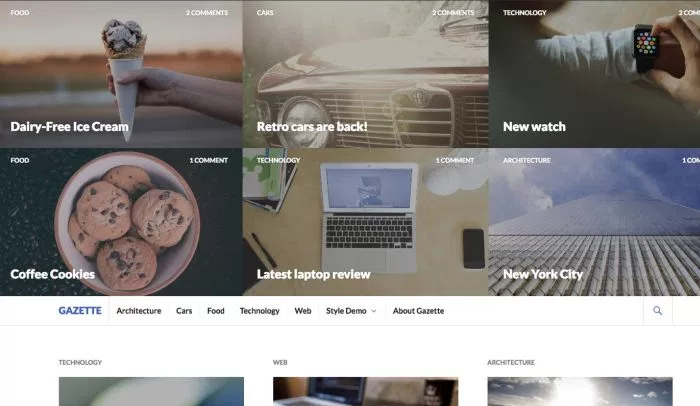 The Gazette WordPress template comes selections of features including a custom header image option, featured images and content, post formats, menus and social list, and widget areas. All the themes reviewed as explained are freely available through the wordpress.com site. However, to get more customizable options you might want to consider opening a wordpress.com website or opting for the premium WordPress themes.